If you have never tried riding a Segway PT® you've come to the right place! The Segway machines are fantastic personal transporters that amaze people right from the start. 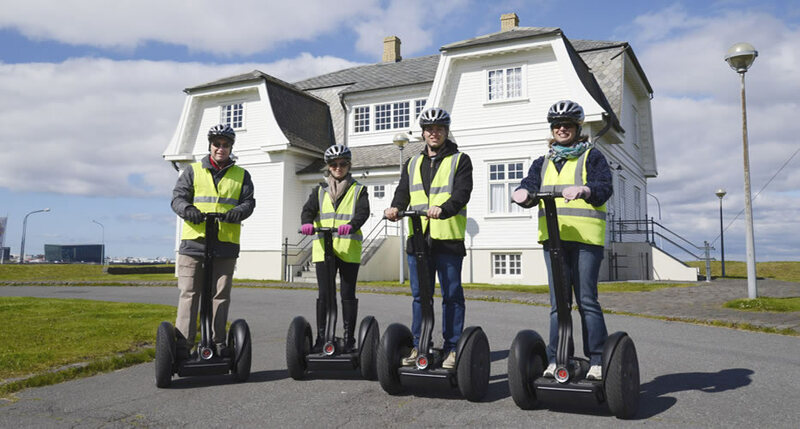 Glide effortlessly along Reykjavik's beautiful coastline on a Segway with one of our enthusiastic professional tourist guides accredited by the Iceland Tourism Board. Our tours are small so you'll always get a lot of attention from us. Contact us now for your Segway tour in Reykjavik.